Still dissing Yoyogi. After Yoyogi, we were full but utterly dissatisfied. So we went to have pasta at this little unpretentious place. Such a lovely homestyled place. The waitresses were chirpy and polite and attentive and made us very ease. We even saw a Pina waitress talking in Japanese to Japanese businessmen. Beside us was an Indian expat. We ordered a risotto porcini ($20) and a carbonara ($16). 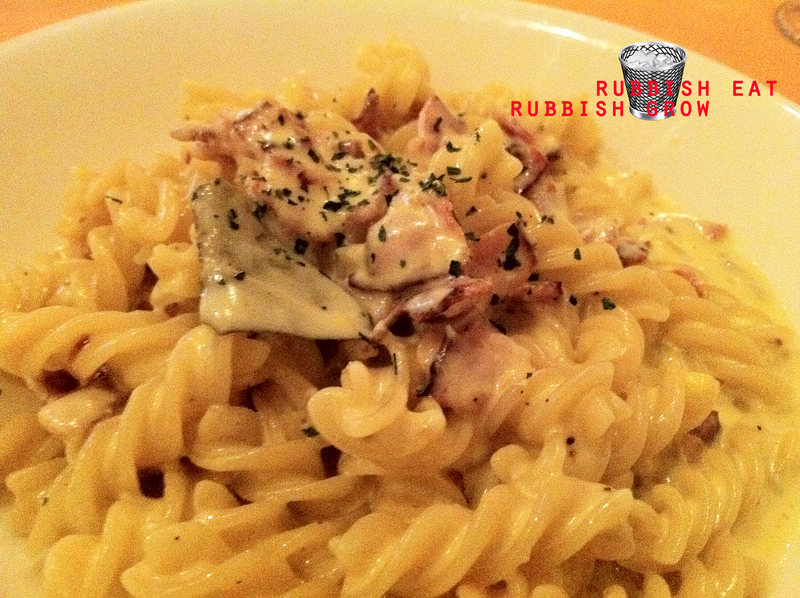 The carbonara was skillfully done and the risotto porcini was the star of the show. 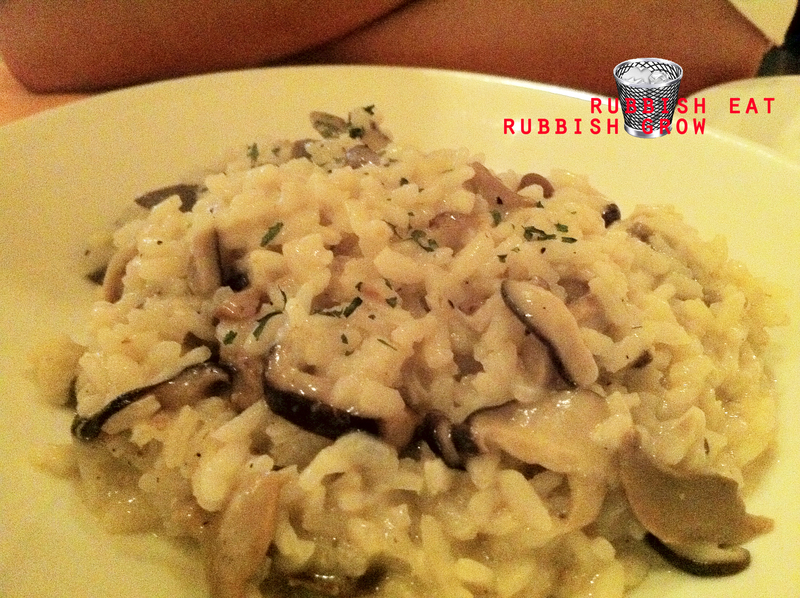 The risotto was very fragrant, soaking up the stock and mushroom, making it very scrumptious. We were very happy and contented there. There is relatively cheap food at Robertson Quay too. Value for money, fuss-free. 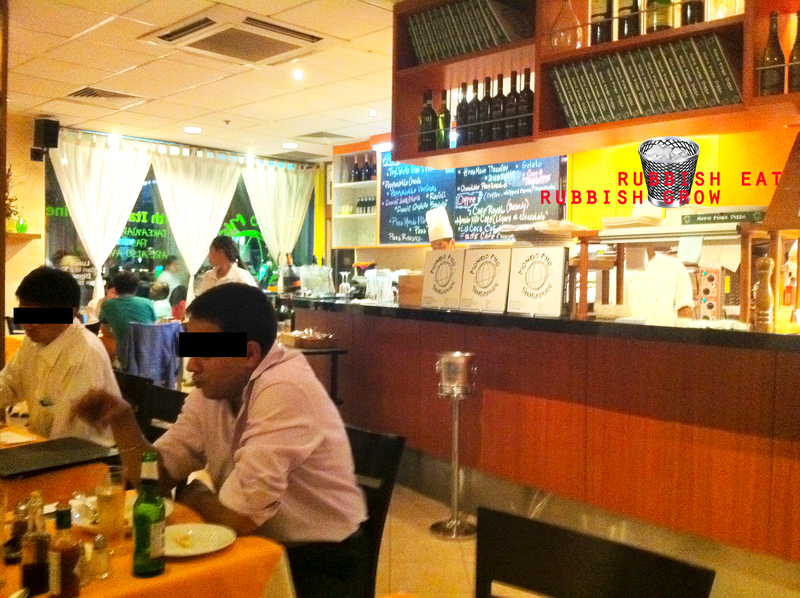 Great service, good food, very homey, unpretentious environment. Felt like we were in a friend’s kitchen. This is what dining out should be.